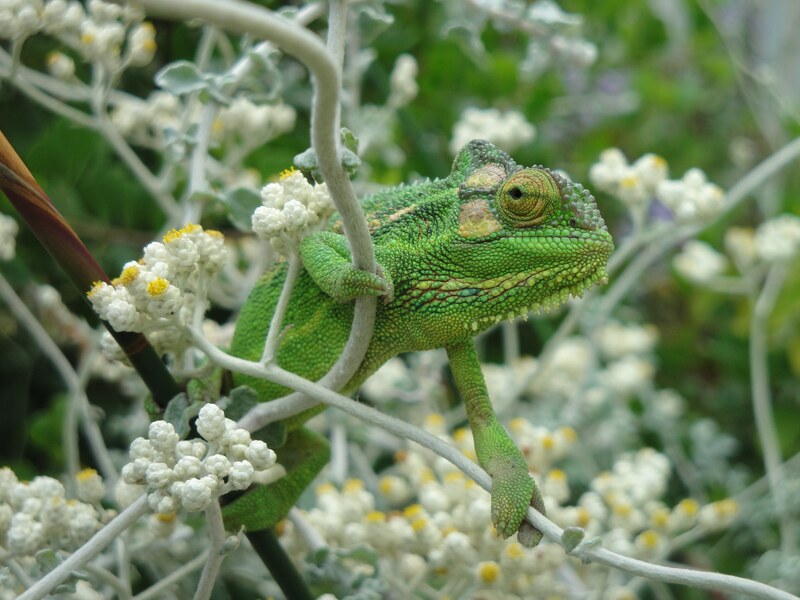 TABLE MOUNTAIN WILDLIFE – UHM, WHERE IS IT? It is home to more plant species than there are in Sweden and its habitats include forests, wetlands and lush river valleys. But wildlife on Table Mountain is conspicuous by its absence rather than its abundance. Why is that? And what wildlife is there? Time to lace up your boots and find out. Truth be told, there’s never been much wildlife on Table Mountain. This iconic flat-top is made up of ancient sandstone that weathers away to make…well, sand. And pretty sterile sand at that – all their nutrients and minerals (phosphates, nitrates and so on) have long been leached away and the result is that the bottom of the food chain is a gravelly kind of rubble. Typical Table Mountain habitat: a sandy, rocky shrub-land overlain with a blanket of silence. The plants have adapted well enough, creating a mosaic of shrubs and reeds collectively known as fynbos. These plants can cope with poor spoil, desiccating winds, scorching sun and regular fires but needless to say these same factors impact severely on the mountain’s ability to provide a safe and nurturing home for animals. Take a hike up Table Mountain and you’ll see what I mean. Chances are you’ll be surrounded by birdsong as you start off on the mountain’s lower slopes. Here the soils are deeper and contain more nutrients, washed down off the higher peaks, and the landscape supports thick stands of nectar-rich proteas, fed on by brightly coloured sunbirds and sugarbirds fizzing with sugary energy. 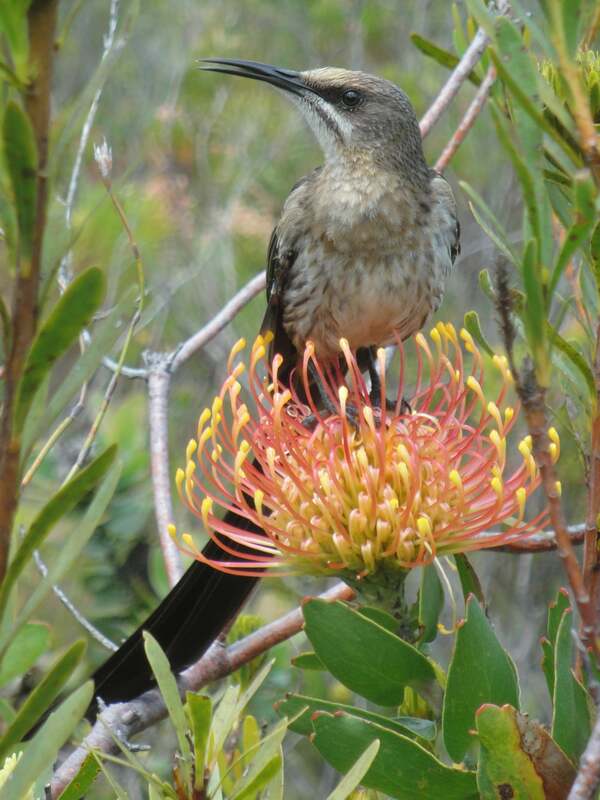 You’ll see Cape Sugarbirds on Table Mountain wherever there are nectar-laden proteas in flower, especially in the mornings when the sugar is on the rise. 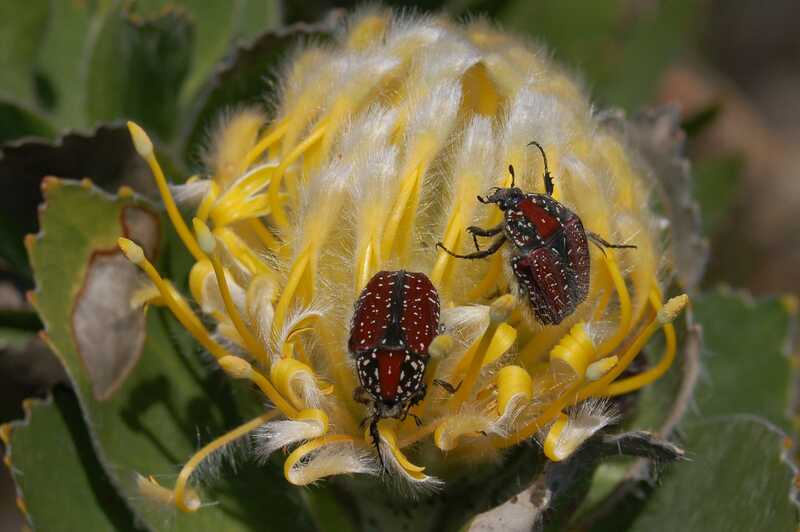 Look closer at the protea flower & you’ll see insects scrambling around for pollen & nectar – these are Fruit Chafer beetles. There’ll be the hum of carpenter bees too – as loud as a passing motor-scooter and not much smaller – as well as the lugubrious whistle of a southern boubou (a shrike-type bird) and perhaps the lucky flash of a Cape mongoose on the path in front of you. But as you climb higher, the sound of birds and insects fades away to a hushed silence, punctuated only by an occasional lonely ‘pink’ of a frog. It seems so counter-intuitive: here you are surrounded by greenery with waterfalls tumbling beside you and there is barely an insect to be seen let alone something warm-blooded with fur. Indeed, the higher you hike the wetter and more verdant the mountain becomes but it comes with a corresponding decrease in animal life. There simply isn’t the energy and nutrition up there to support many animals. But there is wildlife on Table Mountain – and though it may not be in the form of sweeping herds and sun-blocking swarms (which suits me incidentally) it ranges from the lowliest invertebrate to the mountain’s apex predators – black eagle and caracal or rooikat (our version of the lynx) – and spans much else in between; antelope, lizards, birds, butterflies and large spiders. 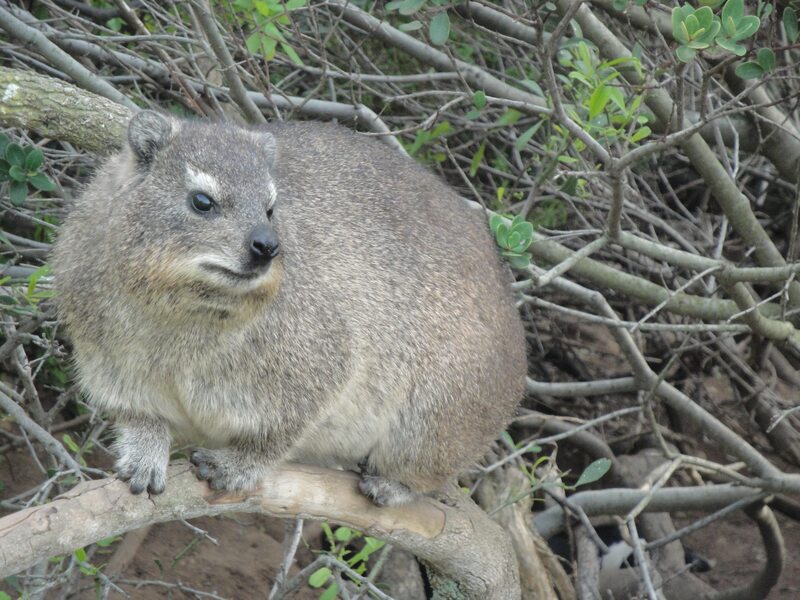 Table Mountain’s crowd-pleaser: the Dassie, a rodent-esque mammal that is in fact related more to elephants & manatees rather than a guinea pig (check the fossil record if you don’t believe me). Leave the big camera: you’re not going to see a lynx I’m afraid: the larger animals on Table Mountain such as klipspringer (a mountain antelope), fruit bats and porcupines are very shy or strictly nocturnal but you’ll see plenty of smaller things on a sunny day. And since wildlife on Table Mountain is so rare, it makes every sighting – whether it’s a hovering bird of prey or a zebra-striped cockroach – rather special. 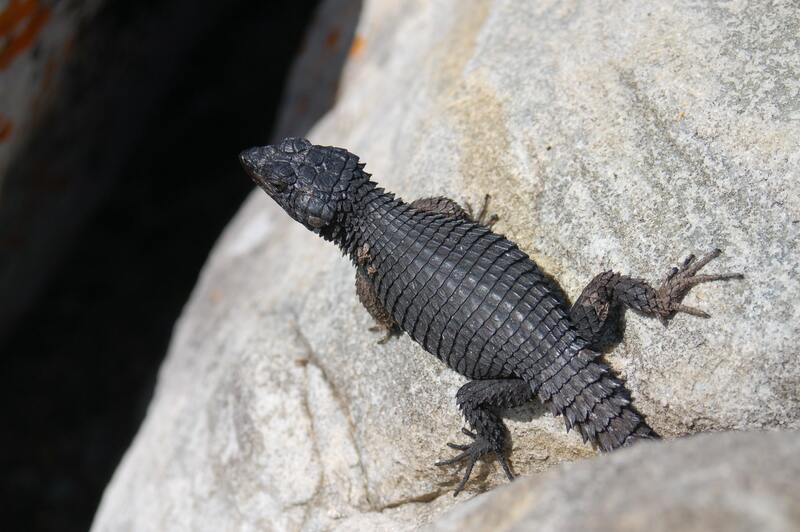 Exposed on bleached white rocks, the Black Girdled Lizard has sacrificed camouflage for the ability to absorb the sun’s energy before other lizards & so get the early worm. There’s not much difference between what you might see in summer compared to winter though of course there are more insects and reptiles in the sunny summer months. But you don’t have to worry about clouds of mosquitoes or snakes falling out of every tree: I see perhaps five snakes a year and have yet to be bitten by a mosquito (or a snake) on the mountain. 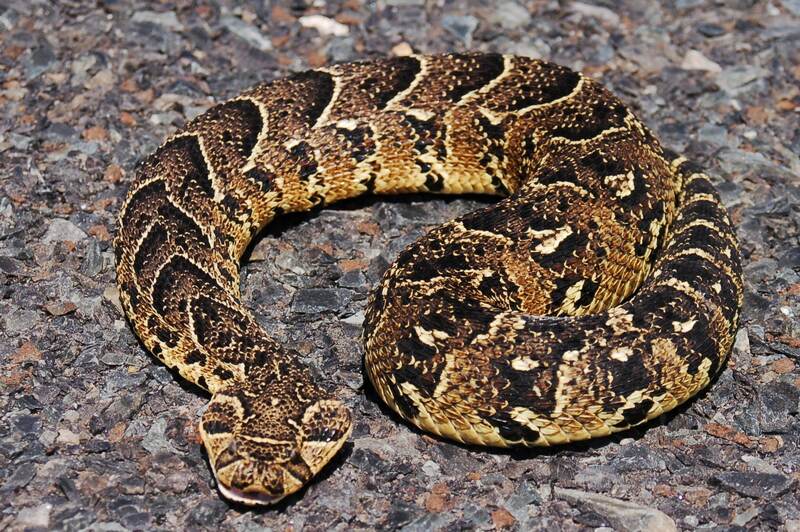 Most often seen basking on a path or road in the late afternoon, the Puff Adder is indeed a dangerous snake but sightings of any snake are vanishingly rare on Table Mountain. There are oddities among Table Mountain’s animals too: orange-legged wasps that hunt spiders, frogs that don’t like water and termites that chew up white sand to make black cement with which they build their cooling towers – termite mounds – to regulate the temperature of the colony underground. 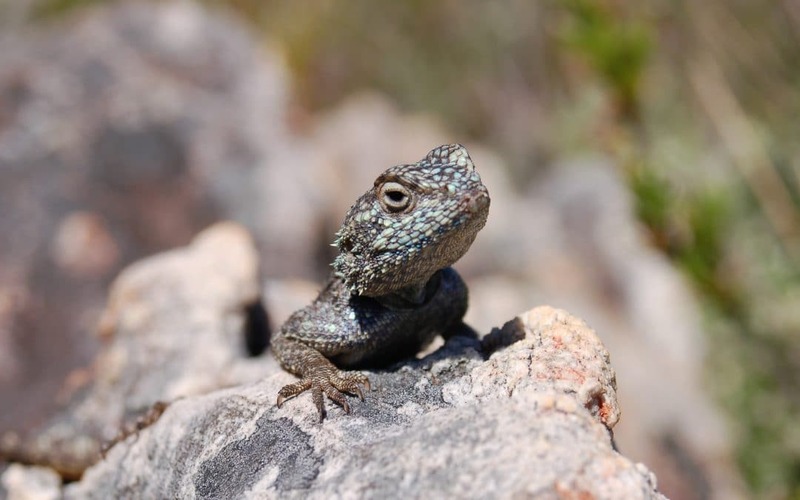 Another rare sighting on Table Mountain is the Cape Dwarf Chameleon, seen occasionally on a sunny spring or summer day as it moves between ambush sites. And the wildlife is pretty safe, considering Africa’s reputation for dangerous animals. There’s nothing large and toothy lurking in the undergrowth: the last leopard on Table Mountain was shot 150 years ago and the baboon troops are all further south on the peninsula, wrecking havoc in the vineyards and picnic sites on the way to Cape Point. Even the Cape Honey Bees of Table Mountain are well-behaved, preferring to bounce off your head rather than sting you. 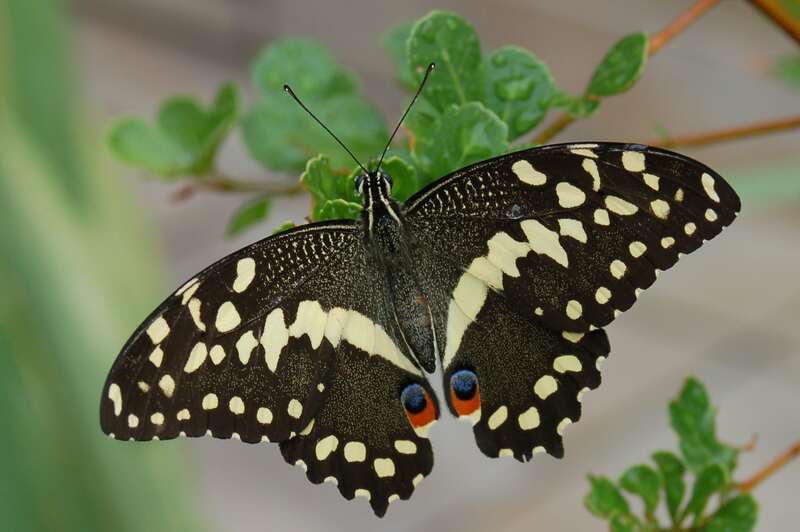 The Citrus Swallowtail butterfly is at home in fynbos; its young larvae resemble bird droppings but its older larvae are called ‘orange dogs’ & are a pest in citrus-farming country. 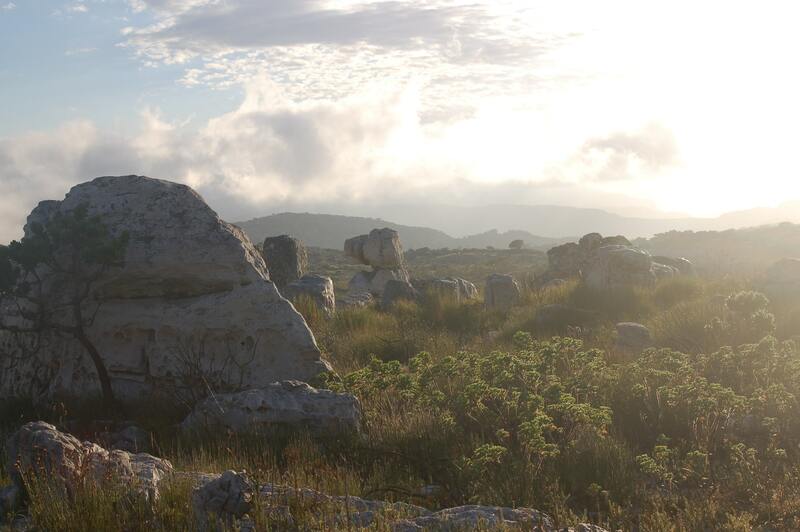 All the more reason to go hiking on Table Mountain with The Fynbos Guy. 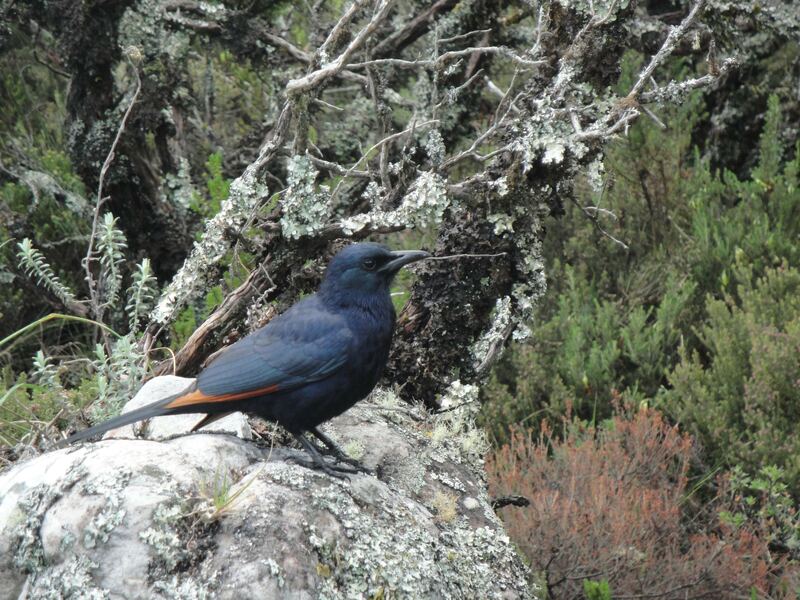 The most obvious bird on Table Mountain is the Red-winged Starling, at home both on the cliffs of the mountain as they are on the window sills & rooftops of Cape Town below.